American Township Fire Department battle a house fire at 3082 Freyer Road on Sunday. 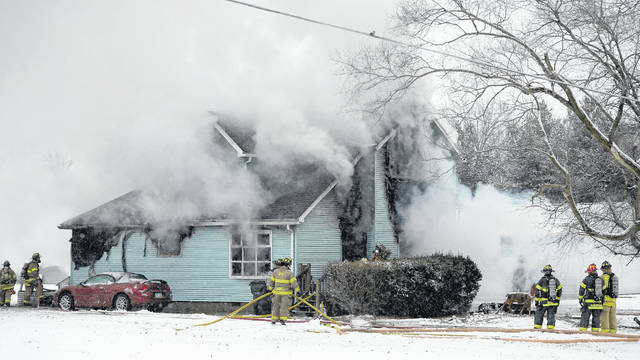 AMERICAN TOWNSHIP — Fire heavily damaged a two-story home Sunday at 3082 Freyer Road. When fire crews rolled up on the scene about 3:45 p.m. they found heavy smoke and flames coming from the home. American Township Fire is investigating the cause of the blaze.